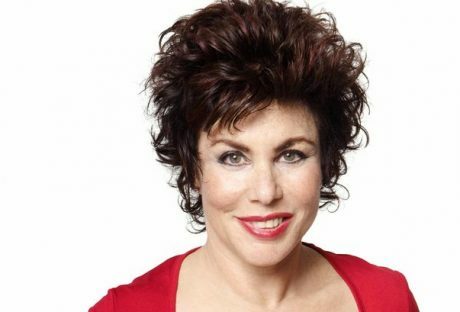 Ruby Wax is a fantastic awards host, after dinner speaker, comedienne & motivational speaker. Ruby first came to Britain in 1977 & initially trained as an actress working with the Royal Shakespeare Company. After two years, she moved into television writing for Not the Nine O’Clock News & subsequently teamed up with Dawn French & Jennifer Saunders working alongside them on a number of television series throughout the 1980s & 1990s including; French & Saunders and Absolutely Fabulous. Ruby eventually got her own chat show & proceeded to gain access to a wide variety of personalities. Her inimitable style became her trademark & she provided the television public with a truly different insight into the lives of the rich & famous. She has appeared on numerous television shows including; The Ruby Wax Show, Ruby Takes a Trip & Ruby. Ruby is also an accomplished stand-up comedienne & has taken her tour around the world, as well as participated at a variety of corporate events entertaining after dinner or presenting awards. To enquire about or book Ruby Wax for your event contact Arena Entertainment. Either send an email to info@arenaentertainments.co.uk or speak to one of our booking agents on 0113-239-2222.